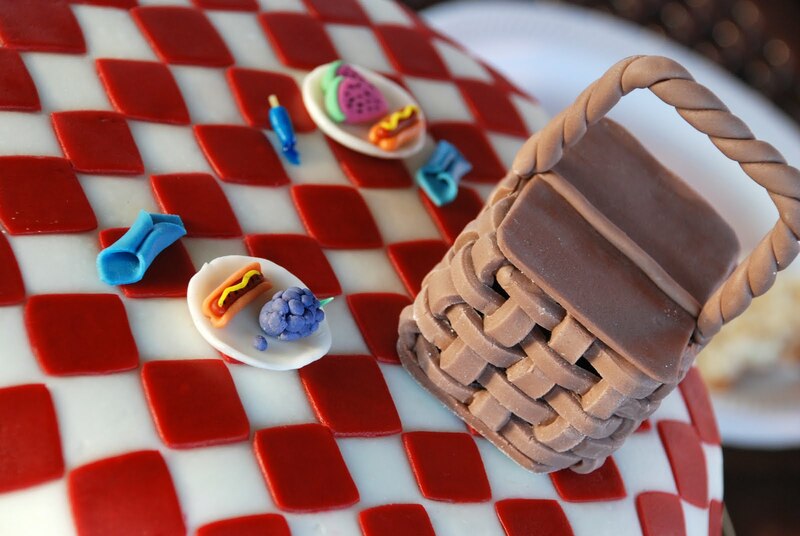 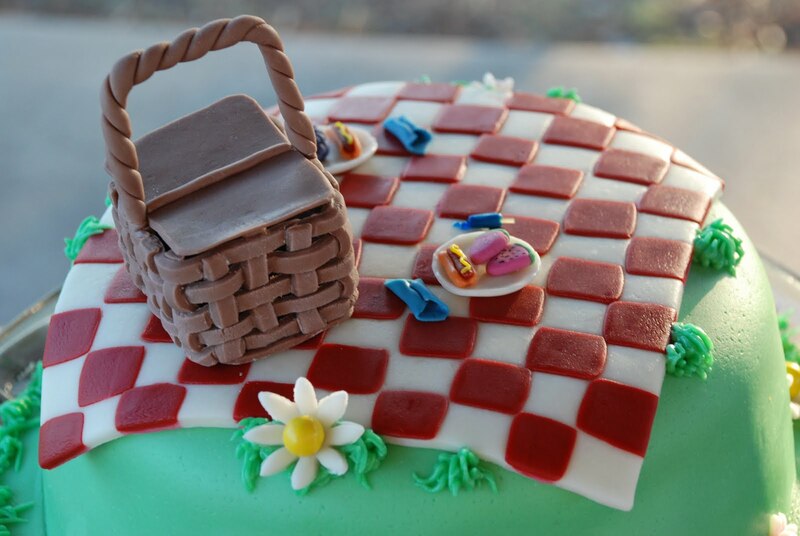 Cake Impressions by Wendy: Picnic Pleasures! 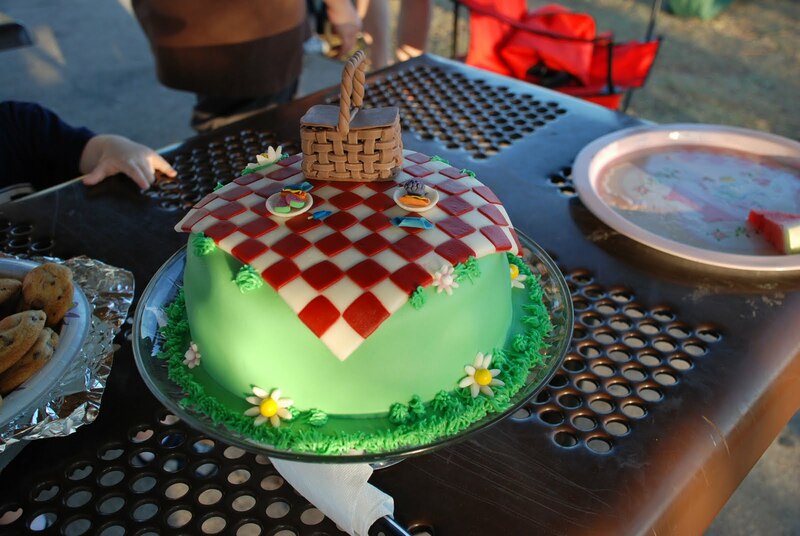 This was a cake for a group picnic. It was a really fun cake to produce. 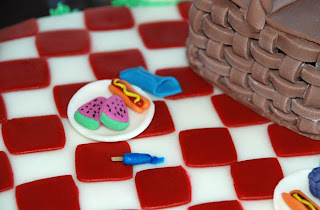 Thinking about a typical picnic scene...I had the checked blanket, basket, hot dogs, fruit and a melting popsicle. It was a chocolate cake with fudge chocolate filling and healthy layer of buttercream under the fondant.